Yeah I'll get back to that translating later if anybody cared (not that it matters, I'm doing it anyway), but in the meantime I decided on a whim to see what I could do in Super Bomberman 2 with cheat codes. I started out trying to make it where you can change the color of Bomberman in Story Mode (as you can in Battle), but when that didn't work out right I thought about hacking the bosses. So here we go. These are intended for the Five Bad Bombers X-7 battles. They will not work for the boss machines in X-8. So basically, you can make the bosses harder than they were, which is kind of nice. Desc: Makes the boss invincible. Remember to turn this code off when you are in regular stages, as it will make the first enemy spawned invincible (such as the topmost bird alien in 1-1). Desc: Change the X into the desired number. 0 is what you start out with in Story Mode and what Brain Bomber should have. 9 is maximum, and probably what Golem Bomber has. A note, though: Brain Bomber is likely to blow himself up with max flames. This is just due to his coding, as he is used to having no power at all and just detonating his bombs whenever. Desc: Sets Shiro's hearts to 9 perpetually. Desc: Set the number of bombs Shiro has. Change the X at the end to the correct number. You can set it to 0 and be completely unable to set bombs. Desc: Set your blast radius. Change the X at the end to the correct number. Desc: Set your speed. Change the X at the end to the correct number. Note: The highest speed possible is 6. Going past this sets your speed to 0. Desc: Changes the color of your character and your bombs, even in Story Mode! Desc: Gives you a disease perpetually. This also makes it so you can't pick up any other diseases, and every time you pick up an item, you spawn a skull panel that flips in a random direction, as if you'd gotten rid of it. Interesting in Battle Mode. Change the X to the number for the disease you want. Known diseases: 1 - Invisible, 2 - Constant Bomb Set, 3 - Can't set bombs, 4 - No bad effect. With 4 and 5 you don't get a bad side effect, so it completely works to your advantage. Try different numbers to see what you can get. Desc: Makes Player 1 Gold Bomber, including gold bombs and gold explosions. This even works in Story Mode, too! Desc: Gives Player 1 spiked bombs. Desc: Makes your bombs detonate automatically when you set them. Desc: Makes it so Player 1 is "turned off" in Battle Mode, but will always win anyway. Desc: Makes Player 1 a silhouette. Desc: Keeps the time at a constant, so it never goes down. The last two digits can be anything, but probably shouldn't be set to 00 or there is no point to the code. Desc: Set the character player 1 plays as. Replace the X's with the correct value. Desc: Change the palette of your character. Replace the X's with the correct number. NOTE: For some unknown assholish reason, these codes don't seem to work in Story Mode. They merely glitch your player sprite. Meh. It is kind of glitchy, though, and the water effect may spaz out or reactivate if you move to certain parts of the map or take certain actions (like kicking a Soft Block with the Yellow Rooey). But it is a very nice way to be able to view the stage maps unmolested. Desc: Set the character player 1 is. This can be used in Story Mode as well, which is the basic idea. Replace the X's with the correct number. Desc: Set the character Player 1 is. Replace the X's with the correct number. Subordinate Bomber is included. Note that changing the character does NOT change the player's palette, use the code below this one for that. For players 2-5, change the 2 to 3, 4, 5, or 6. NOTE: This code appears to screw up Shirobon's sprites in the good ending credits sequence. Does not crash the game, though. Desc: Sets Player 1's palette. This is necessary to get the characters to look right. Replace the X's with the correct value. This looks complicated but is quite easy if you pay attention. For players 2-5, change the A to B, C, D, or E.
Now, to get the different palettes, simply add the below number to the character's value from the above list. For example, to set it to Iron Mask Bomber's black palette, take 30 (Iron Mask Bomber's white palette) + 1 (All Black palettes are 1 more than White palettes), to get 31. His color swap code would be "7E16DA31". First, however, check the second digit of the character's white palette number. There are two categories - 0's and 8's. Note that Shirobon, though his number ends with a 1, is classified as a 0. The basic idea here is to create codes that you wouldn't find anywhere else. If anybody wants to contribute, feel free. I'll update this first post with more stuff whenever I make it or you make it. And if you were wondering, there is no "Set Boss' Speed" code mentioned because the ones I made didn't work. I'll still look into that, though. I'm also working on making it so you can choose the color of Bomberman for Story Mode, changing the first enemy in each stage to something else (ie replacing Magnet Bomber with Golem Bomber or some random monster, or replacing the first monster in a regular stage with a boss), and possibly even swapping the sprites of Bomberman, enemies, or the bosses. The farthest I got with that so far, though, is changing Magnet Bomber's palette set to that of the bird aliens, and making Bomberman turn into jumbled sprites and only be able to move right and up. A note, though - when Plasma Bomber's palette was set to the first enemy's palette, his bombs got that palette when they were first placed (and picked up, as he always does), but when they were thrown they went normal. This means that originally, the bomb is a part of Plasma Bomber. However, when Magnet Bomber sets his bombs, they change into his palette when they are magnetically attracted to you - which means that the "special ability" of the bombs is really in Magnet Bomber's code! I found this interesting. I guess it makes sense, all they had to do was change his bomb sprites and not have to make a whole new object/chunk of code/whatever. Anyway. And yeah, I know that if it -were- possible to set Shiro's sprites into those of the bosses, the death animation would be screwed up, as well as the throwing, and the getting hit on the head, and Plasma Bomber would probably have no arms or scarf. Meh, it would be interesting to see if it was possible though. Don't you think? Playing with Gold Bomberman in story mode sounds like fun. 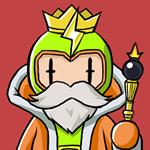 Especially if also adding a code to start out at fast speed (kind of like the dash he has in Neo Bomberman? Metroid: Other M - As in "There's the good Metroid games... we chose to do one of some Other Make altogether." Well, I have figured out how to change what Super Bomberman 3 multiplayer character you are. Which means you could go through Story Mode as Bomber the Kid, or fight Pretty Bomber as herself. I'm updating the first post. Edit: Just now added the SB4 character selection code as well. Hey, that's pretty neat: player 2 could pretend to be Max by playing as a black variation of the punk Bomberman. Haha, never thought of that. I need to find the different codes for each player, though. Interestingly I was looking just now to see if they were elsewhere, and this topic was the first hit on Google! EDIT: Added the codes for the other four players to choose their characters. You know, it could be interesting for those Let's Plays. Playing as different characters in SB3-4 Story Mode? On a side note, Hammer Bomber and Lady Bomber's attacks are basically useless in Story Mode. They don't work on enemies, and even if you use them on the boss, the boss' powerups (bomb, flame) are apparantly coded straight into the boss, so they won't scatter items. Also, fixed the Super Bomberman 4 codes. I had the values bumped up by one for some reason. Bomberman should be 00, and the rest as according. Sorry for any confusion! 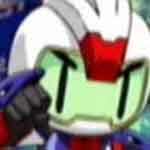 On a side note, Hammer Bomber and Lady Bomber's attacks are basically useless in Story Mode. They don't work on enemies, and even if you use them on the boss, the boss' powerups (bomb, flame) are apparantly coded straight into the boss, so they won't scatter items. Aw... ah well, I always would have been playing as Jet and Bazooka anyway. Bazooka Bomber is probably your best bet in Story Mode. I played as him through the first two worlds. Even with the 5656 password on (that enables you to perform special attacks without powering down), it's a bit of a challenge as I found myself unexpectedly dieing when trying to blast some monsters, such as the red squid enemies that "jump" at you. Jet Bomber would probably mow down some enemies but land on a space that a monster is about to occupy. Still, would be interesting to play as them. This could be a stupid question, but how do you enter these codes? If you're using a real SNES, you'll need a Pro Action Replay. Can't really help you with that, but if you're using an emulator, which you probably are, I'll detail how to do it with Snes9x and ZSNES. For Snes9x, load the rom. Then select "Cheat" on the menu bar, then "Game Genie, Pro-Action Replay Codes" from the drop down list. Don't touch the first text box labeled "Enter Cheat Code". For the text box labeled "Cheat Description", type the name of the code for reference. For example, if you're using the SB3 character switch code to play as Bomber Kid, perhaps you'd put "P1 Bomber Kid". In the text box for "Cheat Address (hex)", type the first six characters of the cheat code, such as "7E1347". In the little text box labeled "New Value (dec or hex)", type the last two characters, such as "01". This is because the last two characters set the value of the, shall we say, "variable" that the first six characters are. The cheat codes you enter should still be there the next time you play. For ZSNES, it's a bit simpler. Load the game, then press escape. On the menu bar, click "Cheat", then "Browse." You'll see a big box there. Where it says "Enter Code:", type the entire value, for example, "7E134701". In the box below, type the name, such as "P1 Bomber Kid". To the right of the text boxes, click the little button marked "Add". When you're done entering cheats, click the button marked "Save". You can load the cheats you've entered for a game at a later date by pressing the button marked "Load" on the Cheat menu, so long as you've saved them. On both emulators, you can enable a cheat by checking the check box next to them, and disable them by unchecking them. 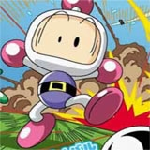 You may need to reload the level you are playing before they take effect, for example, if you're playing level 1-1 in Super Bomberman 3 and you then decide to turn on the Bomber Kid cheat, you can kill yourself, the level will reload, and you'll be Bomber Kid now. On a side note, if you play as other characters in SB4, the winning animation for Story Mode will be that of Shiro, but with the different color palette. Still looking into this. EDIT: Added Super Bomberman 5 Character selection codes, including Subordinate Bomber. You have to use a palette swap code with them though. I currently don't know how to set some characters palettes differently. I have all the Super Bomberman 5 palettes and character switching sorted out, there is a sort of pattern to it so you can choose different colors but if you're not concerned with that then just use the list of character-specific color schemes. Note that, unfortunately, playing as Subordinate Bomber in Battle Mode makes some graphical glitches appear. I usually play on the SNES, but I have it on snes9x, so I'll try them out on there. Thanks..
Added color changing codes for Super Bomberman 3, but they don't work in Story Mode (sprite glitches up). Finally added color changing codes for Super Bomberman 2, full list included as well. I don't know why I couldn't find them before, I guess I had been making things more complicated than they were since I had just started to do this. And yeah, they work in Story Mode. It's kind of glitchy (see my first post for details) but it's also kind of nifty since you never get to see these graphics without the filter over them. Truth. Unfortunately, Terorin was never planned as a playable character, so his data doesn't exist and thus he cannot be played. He doesn't even have a full sprite set.